The award-winning trumpeter’s reggae jazz band will release a nine-song salute to the late Grammy winner on August 26. BOSTON (27 July 2016): Trumpeter Darren Barrett, winner of the prestigious Thelonious Monk International Jazz Competition, was flipping through cable television channels while taking a break from a recording session when he stumbled upon a live concert by Amy Winehouse. He had heard the buzz about the unconventional British artist, but hadn’t heard any of her music until that moment. 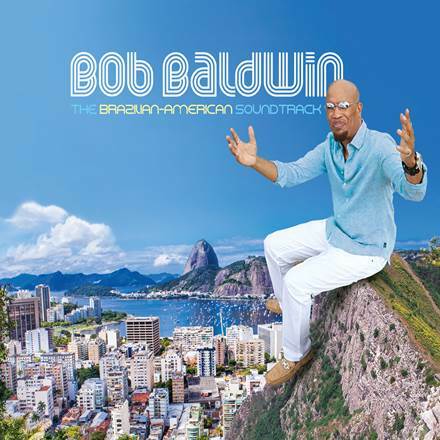 The musician of Jamaican descent with a proclivity for incorporating reggae into his neo-bop jazz recordings was instantly struck by the way the rhythm & soul singer-songwriter infused reggae into her throwback tracks. “I was surprised to discover that the majority of her concert consisted of performing music mirroring the spirit-liberating sound of reggae music. Damn! Amy was laying the music down like one of the ‘old heads.’ She immediately gained much respect from me and I soon became a fan and a loyal follower of her fast-moving musical career,” Barrett recalled about his 2008 discovery and the inspiration for his eighth album, “The Music of Amy Winehouse,” which will be released August 26 on the dB Music label. Barrett and his Trumpet Vibes band, a jazz and reggae group, selected nine songs from the late artist’s songbook and spent over a year working on the arrangements and rehearsing before entering the studio. To recreate Winehouse’s high voltage, multi-tiered sound, Barrett augmented his band by adding guitars, keyboards, saxophone and percussion to the Trumpet Vibes lineup that consists of the trumpeter-producer, bassist Alexander Toth, drummer Anthony Toth and vibraphonist Simon Moullier (noted vibraphonist Warren Wolf is featured on “Our Day Will Come”). Naturally, the toughest part was casting a female vocalist capable of capturing Winehouse’s uniquely soulful and charismatic spirit on hallmark hits such as “Tears Dry On Their Own,” “Rehab,” “Back To Black” and “Just Friends.” Enter Joanna Teters. A Toronto, Ontario native who has been based in Boston ever since he attended Berklee, Barrett was a soloist on Esperanza Spaulding’s two-time Grammy-winning “Radio Music Society.” Mentored by trumpet great Donald Byrd, he has recorded or played internationally with jazz giants Elvin Jones, Jackie McLean, Herbie Hancock, Antonio Hart, Wayne Shorter and Roy Hargrove. Barrett has also performed with Common, will.i.am, Talib Kweli and D’Angelo. 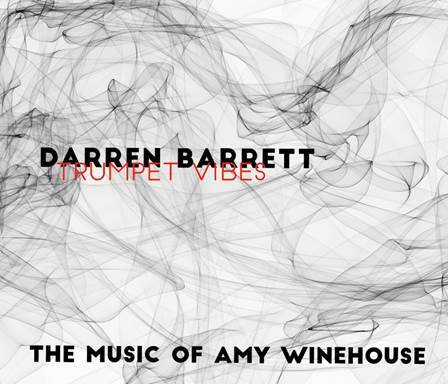 Maintaining a prolific album release pace since 2014, “The Music of Amy Winehouse” follows last fall’s critically-hailed jazz and reggae mashup “Trumpet Vibes” and predates a straight-ahead jazz outing from the dB Quintet that is expected in the first quarter of 2017. For more information, please visit www.DarrenBarrett.com. 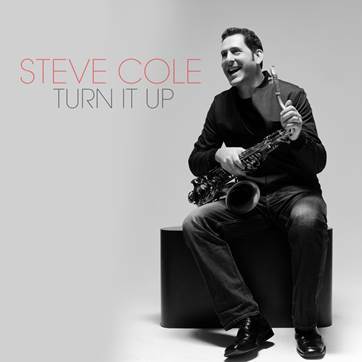 Steve Cole’s latest album “TURN IT UP” has lived up to its name since it was released on July 15, 2016. His first single “Mirage” is already setting the tone for the album. It was the No. 1 most added on the Billboard BDS chart. Steve once again collaborated with David Mann who produced this project to create a collection of soulful tunes. His approach to making “TURN IT UP” was clever and genius. Steve decided to travel to a few different cities, recording with his musical colleagues to embrace the energy and differences of each one. The result was astounding and can be heard in every song on “TURN IT UP.” The title song was arranged by pianist Nicholas Cole who, coincidentally, arranged the title song to Steve’s last album, “Pulse.” Also joining Steve was James Lloyd on the song “Bright Side.” Steve is excited about touring and bringing “TURN IT UP” to life for his fans. He assures that the music comes to life when played live. Rob “Fonksta” Bacon will release debut single August 2, 2016 “Cause & E-Funk” (featuring The P-Funk Horns and Amp Fiddler) in honor of the late Bernie Worrell. Rob Bacon, also known as Rob “Fonksta” Bacon to fans around the world, is set to release his personal tribute to a Funk pioneer: legendary musician Bernie Worrell. Rob Bacon–guitarist, bassist, composer, producer, and artist–didn’t have to look far when creating “Cause & E-Funk.” In his personal quaint studio, Rob conjured up everything that existed within the deepest parts of his soul. “Cause & E-Funk” features the original P-Funk horns (Bennie Cowan and Greg Thomas) and Detroit Funk legend Amp Fiddler on piano and synthesizers. “Cause & E-Funk” is Rob’s personal dedication to the memory of legendary musician and P-Funk alumni Bernie Worrell. The single was produced, arranged, and composed by Bacon. Reminiscing on the heyday of pure, un-cut funk, Rob was compelled to record an instrumental Dance Funk jam. He was driven to capture and celebrate the essence of classic Parliament-Funkadelic as well as conjure memories of fun and funky times he experienced while growing up in his hometown of Detroit. Rob’s funky interweaving of guitars and synth bass are the glue that holds it all together. Bennie Cowan (trumpet) and Greg Thomas (saxophone) of the P-Funk Horns provide ridiculously funky horn riffs, and Rob’s Detroit Funk comrade Amp Fiddler nods to the legendary Bernie Worrell with clever and tasty piano and synthesizer fills. “Cause & E-Funk” is set to be released on August 2nd, 2016 and will be available for download via all digital outlets worldwide. 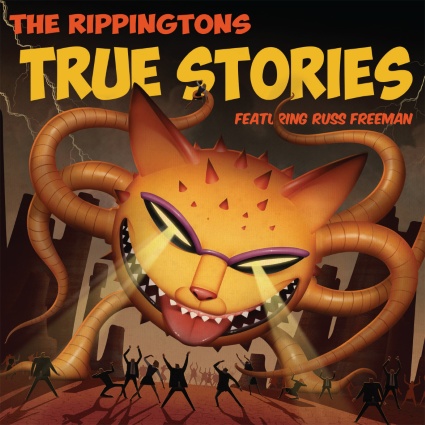 CDs of the single will be available soon after. For more information and inquiries contact mm2513@hotmail.com and stay tuned to the Rob “Fonksta” Bacon Facebook page https://www.facebook.com/RobFonkstaBacon/ for updates. Backed by Casey, drummers and percussionists Herlin Riley and Shannon Powell, and guitarists Steve Masakowski and Danny Abel, Barnes soars mightily on “Songbird Sessions.” Confident and assured, the twenty-something chanteuse unveils unadulterated passion with poise and in complete command on the rousing spiritual “Great Day” and the gentle jazz lullaby “Little Jazz Bird.” Barnes’s arresting take of Van Morrison’s “The Way Young Lovers Do” haunts. On the classic “My Funny Valentine,” her aching, delicate croon depicts an intrepid artist confronting her fragility head on. “’Songbird Sessions’ is about spreading my wings and singing with my soul. This little jazz bird is taking a leap and following a dream. The EP is made up of songs that I’ve been passionate about while growing up in New Orleans. This music helped me express my heart though song. I wanted to do something more intimate for this record with just vocals, bass, guitar and drums. Sometimes it was scary because it’s just me and my vocals. There’s no big band or sounds to help cover my vulnerability or distract the listener. The tracks are open and powerful, but it’s just me. As a young artist, I’m finding my voice and my self. Jazz has impact and power. I want to remind the world how amazing jazz music is,” said Barnes, who begins a six-week residency at the House of Blues in New Orleans on July 28 and will celebrate the EP at a hometown record release concert at Peaches Records on August 27. Barnes has come a long way since she started singing in church as a six-year-old and going on to performing in her family’s jazz band. Two years ago, she won Offbeat magazine’s Outstanding Millennial in Music Award. Her weekly gigs in New Orleans have not only endeared her to the city, but have brought national fanfare including a performance on “NCIS: New Orleans” as well as an abundance of press coverage in the pages of ESPN, Forbes, Ebony, Southern Living , Travel + Leisure and Southwest Magazine. Having become synonymous with the distinctive sounds of New Orleans by being featured in various media and marketing campaigns promoting the Crescent City, Barnes has adorned the cover of area newspapers and magazines and maintains a regular presence on local television. Her leadership role includes her running club, “Move Ya Brass,” which counts over 200 runners in the fitness program she created to help motivate her to get fit after recovering from a near fatal kidney ailment four years ago. Barnes’s first EP, “Me,” was a soul-pop effort released in 2013. For more information, please visit www.RobinBarnesMusic.com.